Dell's PowerEdge C6220 shared infrastructure server is designed for cloud and cluster environments. As a member of the PowerEdge Cloud Server line, the C6220 is built for efficiency with four independent, hot-swap, two-socket server nodes in a 2U chassis. 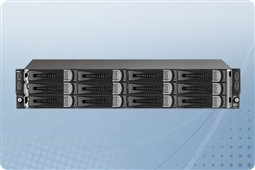 The PowerEdge C6220 offers enhanced performance, energy efficiency and flexibility for cloud, big data, HPC, hosting and Web 2.0 environments. The shared infrastructure of the C6220 makes it a perfect entry point for customers that are not yet ready to make the jump to blade servers but would like to consolidate their server infrastructure and save on operating costs. Front mounted storage options include twenty-four 2.5" or twelve 3.5" SAS or SATA hard drives or solid state drives. Each node can be routed to up to six 2.5" or three 3.5" hard drives. Please browse our Dell C6220's below and click to customize! Aventis Systems carries Aventis Certified Reconditioned Dell PowerEdge C6220 servers. All servers from Aventis System include a 3 year Comprehensive Warranty, with eligibility for optional Express warranties and onsite services. 3TB (6 x 500GB) 7.2K 6Gb/s SATA 3.5"
6TB (6 x 1TB) 7.2K 6Gb/s SATA 3.5"
12TB (6 x 2TB) 7.2K 6Gb/s SATA 3.5"
876GB (6 x 146GB) 15K 3Gb/s SAS 3.5"
1.8TB (6 x 300GB) 15K 6Gb/s SAS 3.5"
12TB (6 x 2TB) 7.2K 6Gb/s NL SAS 3.5"
Are you looking for hyperscale solutions at a lower price point? Please check out our earlier generation C6100 2U cloud server. If you need higher flexibility and scalability, please browse our Dell or HP C-Class BladeSystem blade server solutions. Are you looking for a custom configuration? Have a question? We are happy to help! Please use our Live Chat Live Chat or call us at 1.855.AVENTIS (283.6847) during regular business hours, or email us at Sales@AventisSystems.com.